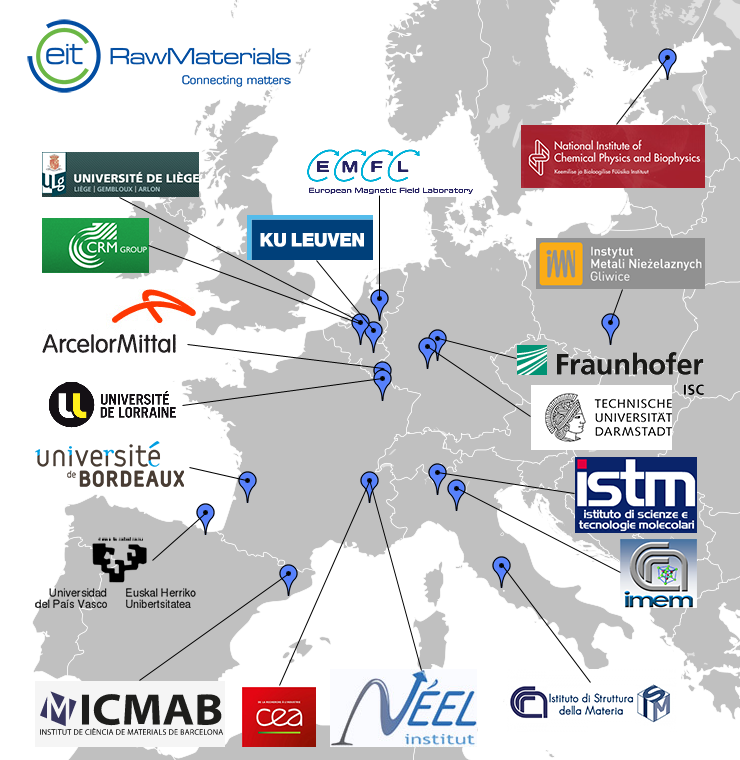 The R&D services of the European Magnetometry Network are performed through the MagNet consortium funded by EIT KIC Raw Materials. It gathers 16 original partners (7 universities, 5 research institutions, 2 R&D institutions, 2 companies) from 8 European countries, and covers a large spectrum of expertise including physics, chemistry, material sciences, geology, steel industry, and nanotechnologies. The consortium can provide a wide range of services (measurement service, R&D collaboration, training or advicing, metrology development) to any European SMEs and industries. If you contact us, after defining the problematics and potential solutions, we will select the closest and/or the most relevant magnetometry center to perform the proposed measurements or R&D program. MagNet is funded by EIT Raw Materials.